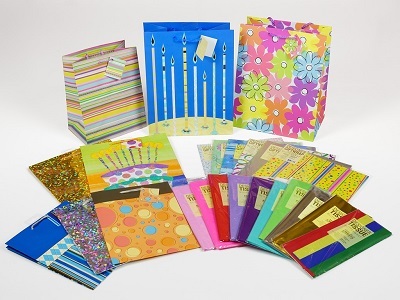 Gift bags, bottle bags, wrapping paper, and wrapping tissue are a natural complement to greeting card sales and can often be displayed on the same rack along with your cards. We supply high quality bags and wrapping product by Designer Greetings as well as a very good quality discount line. Tell us what you need and we will put together a good selection of designs and colours for you.